Software is crucial to every business, and therefore DevOps is too. The 2018 State of DevOps report identifies the best performers. Every business will be a software business. Software is the backbone of an organization and dictates its ability to innovate, improve and react to changes in the market. That puts a big burden on the company's IT organization to deliver high-quality software quickly and frequently. Continuous delivery (CD) performance matters not only for IT organizations but also a company's ability to be competitive. Indeed, the DevOps Research and Assessment (DORA) released its Accelerate: State of DevOps 2018 report which details the correlation between software delivery and organizational performance. The DevOps report shows that high software delivery performance can be achieved regardless of industry, vertical or type of company. It highlights the importance of throughput and stability and shows there doesn't have to be trade-offs, but rather they enable each other. The ability to measure throughput and stability of software delivery performance and gain insights into how to improve these measurements is critical to monitor progress on the DevOps transformation journey. "Our analysis shows that implementing DevOps practices and capabilities during technology transformations pays off in terms of organizational performance as well as quality outcomes." Deployment Frequency (DF). Defines how often your organization deploys code to production. Elite performers deploy on-demand multiple times a day. Lead Time for Changes / Mean Lead Time (MLT). Defines how long it takes for a code commit to be deployed to production. Elite performers have a lead time of less than an hour. Time to restore service/Mean Time To Recover (MTTR). 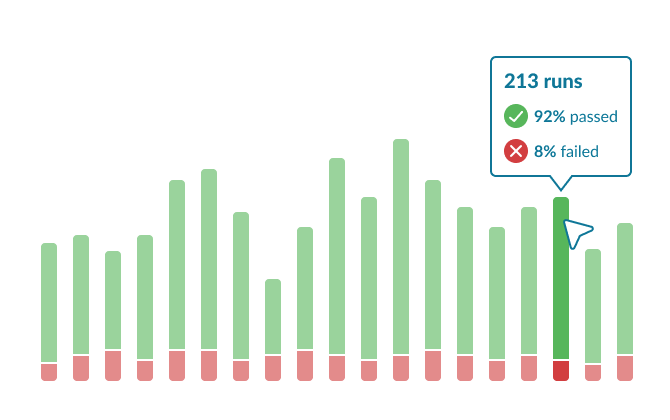 Defines how long it takes to restore the service after a service incident occurred. Elite performers restore service in less than an hour. Change Failure Rate (CFR). Defines what percentage of changes result either in degraded service or subsequently require remediation (e.g. leads to impairment or outage, requires hotfix, rollback, fix forward). Elite performance has a change failure rate between 0% and 15%. Being able to measure and understand these metrics is not only something critical when you are embarking on the DevOps transformation, but also to excel in the market. At CloudBees, we have seen these performance metrics truly be important indicators for organizational performance. CloudBees DevOptics uncovers these key performance metrics and gives in-depth insights into the underlying CD process. It shows how your code changes flow through the system and how your CD platform performs. CloudBees DevOptics lets you identify critical areas of improvements to turn your company into an elite performer. The CloudBees DevOptics real-time value streams let you map your delivery process and calculates the key performance metrics highlighted in the Accelerate: State of DevOps 2018 report, making them readily available. It enables you to perform root cause analysis of your value streams and drill down into the pipelines, issues, and code commits to determine why the value flow is blocked. The DevOps report also highlights the importance of the right tooling and CD infrastructure that are key factors to improve your software delivery performance. In order to see how your CD platform is performing, you need to have insights into the performance and availability of that platform. What is the load on the platform? How many jobs are running? What is the success and failure rate? What is the wait time for new jobs? 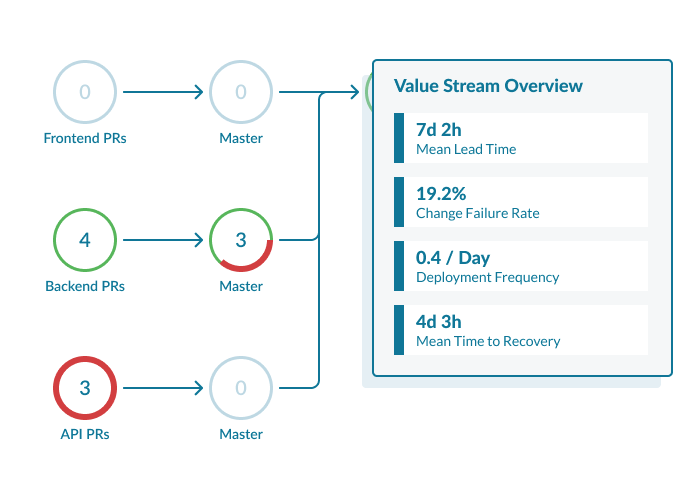 CloudBees DevOptics gives you the insights from high-level DevOps performance metrics over value stream visualization. It offers CD platform monitoring and gives you the critical and aggregated insights into the performance of your Jenkins CD infrastructure. Our application enables you to define actionable initiatives to improve your software delivery performance and to set you on the path to becoming an elite performer. You can learn more about CloudBees DevOptics at DevOps World | Jenkins World 2018 at this talk: Lifting the Fog: DevOps Performance Management with CloudBees DevOptics. Published at DZone with permission of Alex Tacho , DZone MVB. See the original article here.